Carrie Fisher, who passed away on Decemeber 27, 2016 following a massive heart attack, was an iconic woman best known for her role as Princess Leia in Star Wars. However, Fisher was more than just a talented actress who stole the hearts of people everywhere throughout the late 70s; she was also a bold woman who battled lifelong addiction and spoke openly about her recovery. Fisher changed the way that people speak about addiction and substance abuse. She wasn’t just an on-screen heroine — she was an off-screen warrior who significantly helped de-stigmatize mental illness and addiction. The daughter of Debbie Reynolds and Eddie Fisher, Carrie Fisher was born into a world of affluence, beauty and enviable opportunity. She exploded onto the scene in 1975 when she was cast in the film Shampoo, and then solidified her A-list celebrity status when Star Wars was released two years later in 1977. She appeared to have it all. She had an enviable career at the age of 21, partied with the Rolling Stones and eventually married influential musician Paul Simon. Yet beneath the Hollywood glamour and facade, she was struggling with something much, much darker: substance abuse and mental illness. Unlike the majority of Hollywood A-listers, however, Carrie Fisher refused to hide her struggles with substance abuse and mental illness from the public. Instead, she engaged openly about her addiction treatment and recovery. She spoke openly about her journey to achieve sobriety from cocaine addiction and the everyday struggles of living with bipolar disorder. She inspired millions of people worldwide who struggled with substance abuse to speak up and raise awareness about addiction and mental illness. She removed the stigma of shame associated with addiction and replaced it with a beacon of hope. 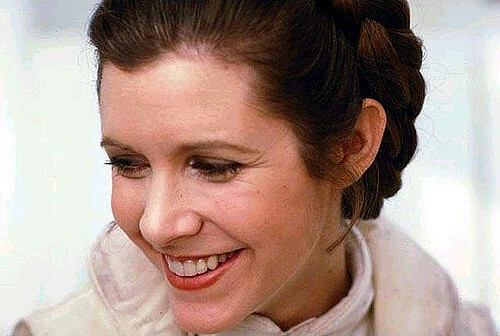 She wasn’t just Princess Leia — she was a queen in her own right who refused to be ashamed of her struggles. Although Carrie Fisher might be gone, her bold, convicting and unwavering voice will continue to bring hope and encouragement to those struggling with addiction for years to come. Rest in peace, Princess Leia — the hope, encouragement and light that you brought to people worldwide will never be forgotten. Previous Post: « What Makes the Sober Brain Tick?